Our one-day tour to the beautiful Cape Tribulation and Daintree Rainforest gives you the chance to learn more about the fascinating history, culture, and nature of the region. 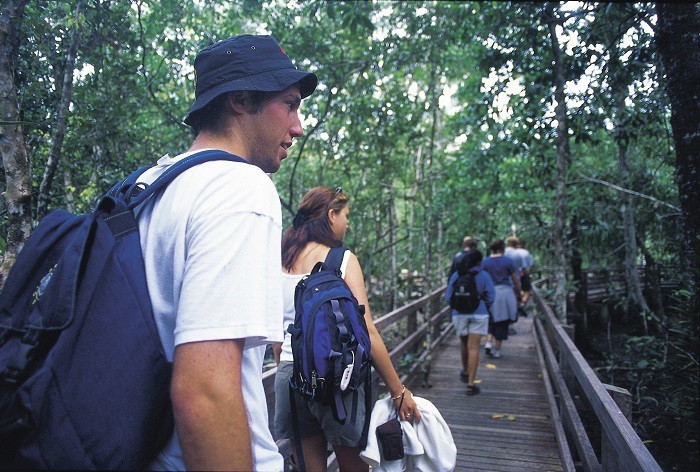 We’ll take you to iconic landmarks like Mossman Gorge, take you to lookouts where you can view the stunning landscape, and give you an introduction to the region’s wildlife with croc tours and river cruises. 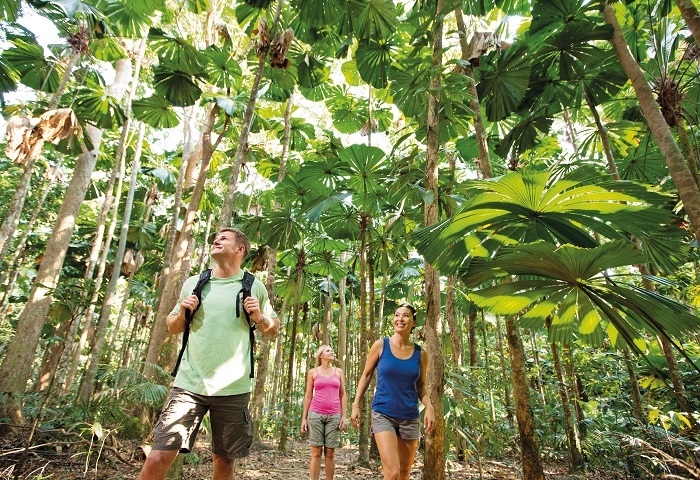 This Daintree Rainforest tour will give you a fascinating introduction to the natural beauty of this gorgeous region. Picnic Style Lunch: Consists of Roast Chicken, Ham, Garden Salad & Potato Salad, as well as fresh bread, fruit and cold water with or without cordial – $17 per person (We can cater for most dietary requirements, so please mention them in the booking notes). Please Note: If you do not opt to select the lunch upgrade ($17 per person), you will need to bring your own as there are no food facilities where we stop for lunch. 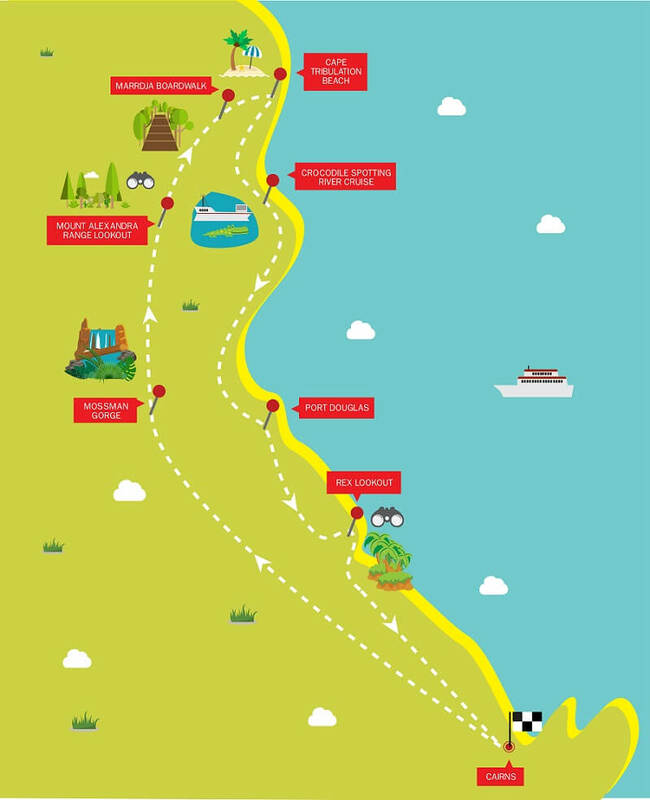 The day begins in Cairns at 8am, where we’ll pick you up and make our way through the breath-taking scenery of Australia’s north coast. 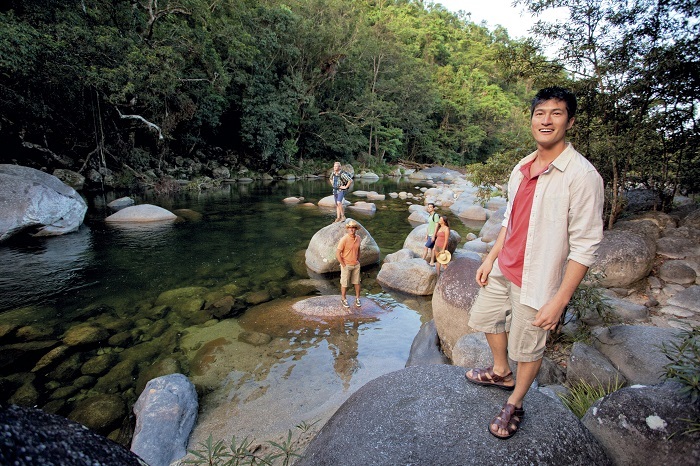 First, we’ll stop off at Mossman Gorge, one of the region’s most memorable landmarks. Here, you can marvel at the surrounding rainforest and go for a refreshing swim in the cooling water. Afterwards, it’s time for morning tea before we head over the Daintree River on a cable ferry. We’ll make our way to Cape Tribulation where you can take a stroll through the ancient Gondwana Rainforest and marvel at the views from the Alexandra Range Lookout. Next, we’ll make our way to the Marrdja or Jindalba Boardwalk which is surrounded by huge, ancient trees and lush mangrove swamps. For lunch, we’ll indulge in a picnic on the beautiful sands of Cape Tribulation Beach before taking a walk along the shoreline and learning more about the spot where rainforest meets reef. We’ll then make our way back to the Daintree River, stopping on the way to pick up a tropical ice cream to enjoy on the journey. In the afternoon, it’s time for some crocodile spotting on the Daintree River. We’ll take a cruise along the estuary, where you can catch a glimpse of these magnificent creatures and learn more about their habitat. 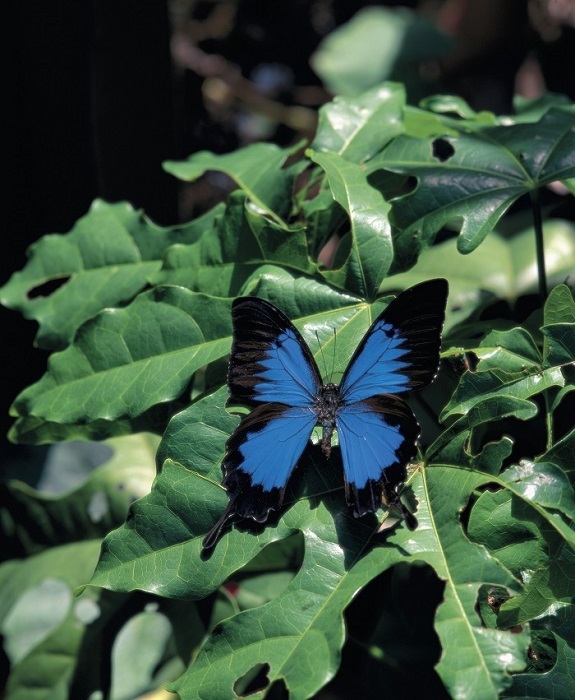 We’ll also keep an eye out for pythons, butterflies, and other native species on the cruise. Then it’s time to head home. 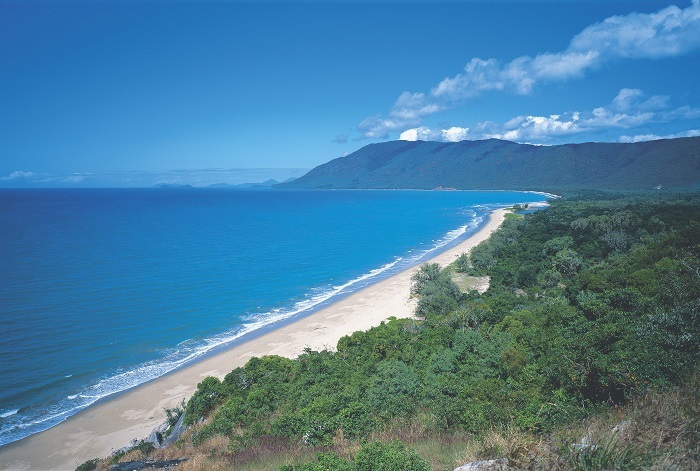 On the way, we’ll stop off in the quaint town of Port Douglas and the Rex Range Lookout before our final stop back in Cairns.